South Korea is aiming hard and fast to become the leader in Robotics. The country is also the first to test out robot prototypes for use in security installations. 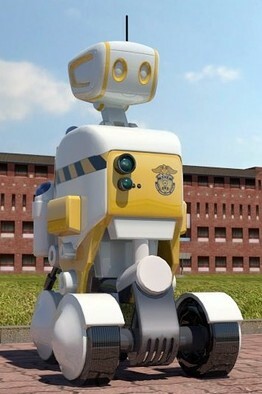 Nothing close to the terminator movies and more like Wall-E these robots will be used for basic security details and will be equipped with tactical advantages against prisoners. The robots can also work as a communication channel when inmates want to contact guards in an emergency. According to Mr. Lee, prison officers have welcomed the idea because the robots can potentially reduce their workload, particularly at night. But the robots are not terminators. Their job is not cracking down on violent prisoners. They are helpers. When an inmate is in a life-threatening situation or seriously ill, he or she can reach out for help quickly.